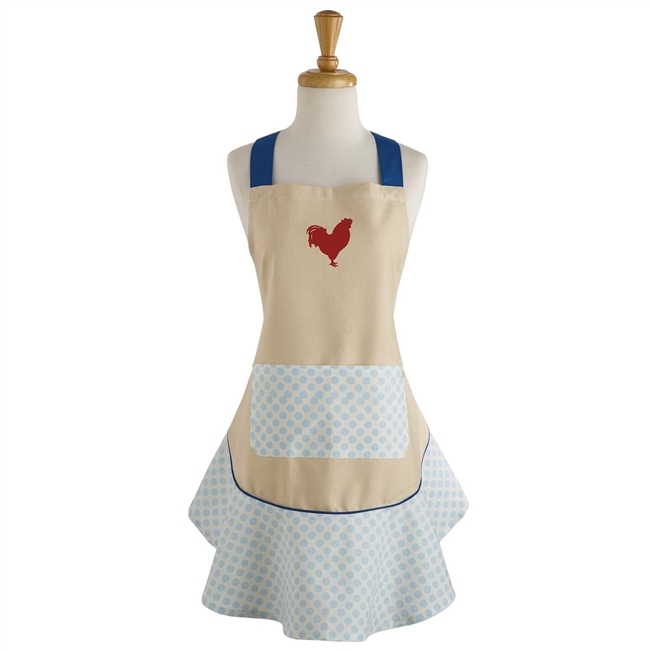 Red Rooster Print Ruffle Apron with Polka Dots and Front Pocket. Apron measures 26 x 28.5" and measures 100% Cotton. Care Instructions: Machine wash cold separately • Gentle cycle • Tumble dry low • Low iron • Wash separately before use.